HARVEST MORE SAVINGS! 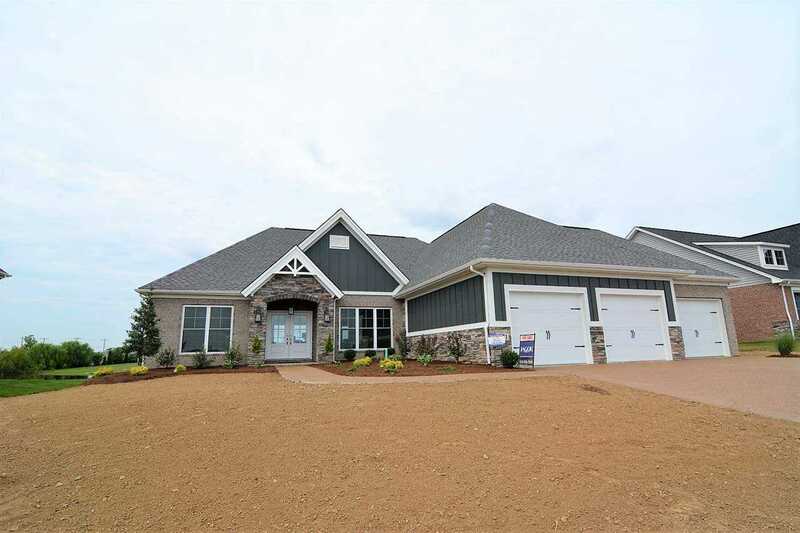 Welcome home to your luxury CRAFTSMAN home on the water in Waterstone by Berkshire, Jagoe's newest subdivision in Newburgh. You will love the open concept home with GOURMET KITCHEN with plenty of cabinets, features a decorative hood over a gas cooktop, large island, quartz countertops, and subway tile backsplash. The SPACIOUS OWNERS SUITE includes a large bedroom, walk in closet, and SPA BATH with double vanity, outstanding ceramic shower, and a beautiful free standing TUB. Rounding out the home are 2 additional bedrooms, 1 full and 1 half bath, PLUS a mud room, with drop zone and closet which leads to the laundry room. Outside you will find a 3 car garage, a covered patio with a beautiful WATER VIEW, and upon completion there will be a fully sodded yard and plants. This market home is also eligible for up to $2,000 in closing costs and up to $1,000 to apply towards prepaids or rate buy-down. See disclaimers below for more information. Disclaimers *To qualify for Harvest More Savings incentives, home must be purchased and closed by December 28,2018. **Additionally, receive up to $2,000.00 in closing costs. Based on using approved lender, FBC Mortgage. ***PLUS, receive up to $1,000.00 to apply towards Prepaids or Temporary Interest Rate Buy-Down. Based on using approved lender, FBC Mortgage. Must meet lender requirements. Directions:EAST on Oakgrove Road from Hwy 261. Cross over Anderson Road, NORTH into Bershire, WEST on Brompton Dr.
SchoolsClick map icons below to view information for schools near 5621 BROMPTON DRIVE Common Newburgh, IN 47630.